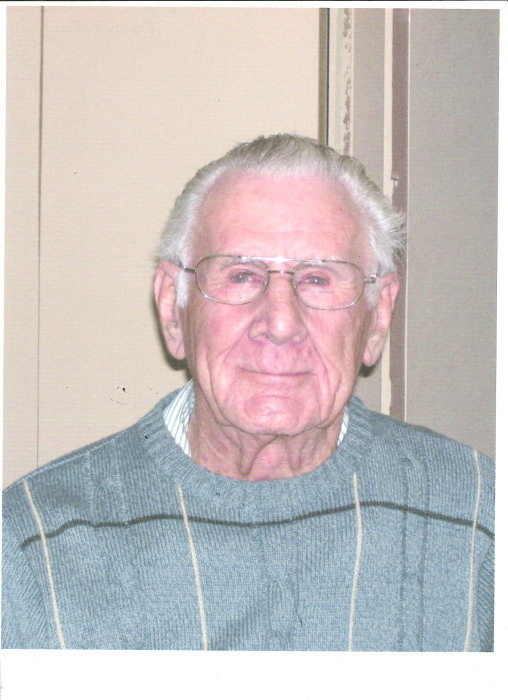 Obituary for John Evaniecki | Shore Point Funeral Home and Cremation Services, Inc.
John Evaniecki, 99, of Holmdel, passed away on Thursday, October 18, 2018 at home. He was born on December 25, 1918 in Perth Amboy, New Jersey. He moved to Little Silver New Jersey, before settling in Holmdel, New Jersey. John worked as a Machine Knitter for the clothing manufacturing business for many years before retirement. He was also a proud veteran of the United States Army. John was predeceased by his dear parents, John and Tatiana (Magura) Evaniecki, his beloved wife, Olive May (Flannagan) Evaniecki, his dear daughter, Joan Keane, and his 4 brothers and 3 sisters. John is survived by his dear children, John Evaniecki of Holmdel, Jane Gentile and her husband, Samuel of Hazlet, New Jersey, and Joyce DeRosa and her husband, Edward of Point Sienna, Florida, his cherished grandchildren, Daneen Keane, Michael Keane, Susan McCarthy, Samuel Gentile, III, Ann Marie Hauser, John Gentile, Anthony DeRosa, Nicole De Rosa, and 10 adored great-grandchildren and 3 great-great grandchildren. John will be deeply missed, but never forgotten. Family and friends are invited to visit on Sunday afternoon, October 21st, 2018 from 2:00 PM to 4:00 PM and 7:00 PM to 9:00 PM at the Shore Point Funeral Home and Cremation Services, Inc., 3269 State Highway/Route 35 North, Hazlet, New Jersey. A prayer service will be offered on Sunday, October 21st, 2018 at 3:30 PM at the funeral home and Military Honors will be presented at 3:00 PM. In respect of John’s wishes, he will be privately cremated. For information, directions, or to send condolences to the family, please visit, www.shorepointfh.com.